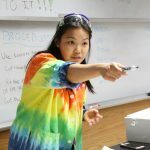 The Center for Teaching and Learning programs provide a truly inquiry-based experience for students, with a common goal of encouraging students to see themselves as capable scientists, engineers, and mathematicians. 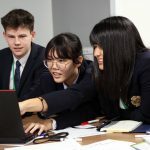 Research shows that high-quality experiences in school are necessary but insufficient for young people to get and stay involved with science, and to be equipped with the skills necessary to pursue STEM beyond high school graduation. (State of STEM in Out-of-School Time in Chicago, 2013). 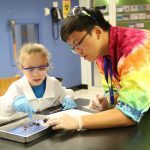 IMSA enrichment programs, with their focus on inquiry and integration with real-world situations, provide experiences that develop students’ positive disposition toward STEM. 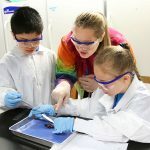 Our programs employ the practices scientists use to study the world — questioning, forming hypotheses, conducting investigations, and collecting and analyzing data to effectively teach STEM content while developing scientific habits of mind at the same time. The curriculum for all IMSA student enrichment programs are created by IMSA curriculum writers. 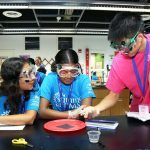 While all of our lessons and activities are aligned with Next Generation Science Standards, the focus is on fun and creativity. Students in our programs are encouraged to explore, take risks, and have ownership over their own learning.